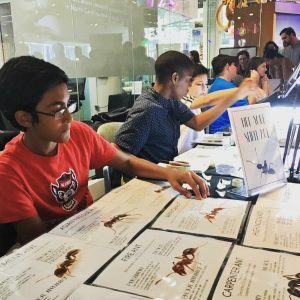 16 of my students volunteered or attended BugFest last Saturday. This weekend, my students and I attended the 20th annual BugFest at the Museum of Natural Science, where I did my internship this summer. I knew that BugFest would be a great event for the boys, but I had no Idea how much I’d be impressed by their enthusiasm for teaching the public about ants. Six weeks ago when we started school, my students were a lot like I was when I started my internship in June. They didn’t really care at all about ants. 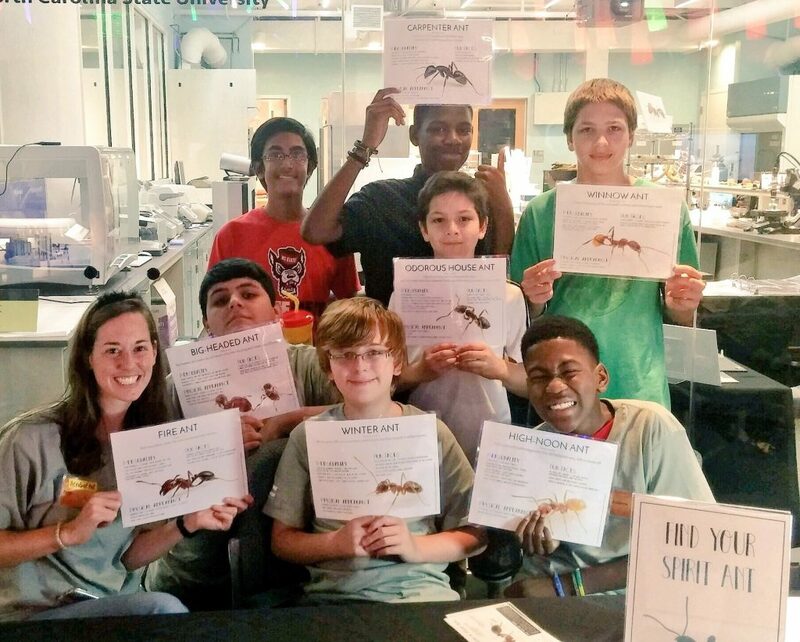 However, after finding their “spirit ants” by matching their personalities to the characteristics of different ant species, completing the Ant Picnic experiment, and analyzing global data on CODAP, many of my students have become miniature ant experts. We compiled the information for these fact sheets together with my mentor. Then we found our spirit ants! 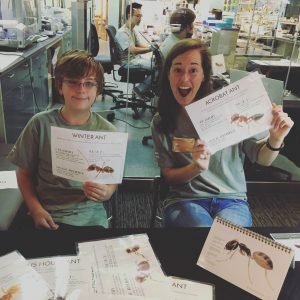 I began to realize my students’ love of ants even before the day of BugFest, when feeling crunched for time I asked two of my student volunteers to help me compile fact sheets for the Spirit Ant table. During our first period elective, the three of us worked on a shared google doc inserting fun and relatable facts from the Book of Common Ants. We didn’t finish in the class period, so I expected to wrap it up with my scientist mentor in the evening. I was very pleasantly surprised when one of my students logged on to the google doc at 8pm and worked from home alongside of my mentor and I. This moment struck me as a really special manifestation of my fellowship. Isn’t this the dream? An eighth grader and a post doctorate scientist working together on the same project?! After a long week of teaching, this moment was the perfect refresher – and the amazement was just beginning. At one point, every station at Discover Ants was being run by my students. They are scientists! When I got to the museum on Saturday at 8:30am, some of my students were already there and ready to roll. They helped scientists set up our tables and began to man them without any traces of self doubt. One student went straight to a station devoted to handling fire ants, while others joined me at the spirit ant table and fire ant quiz. For a moment, I questioned whether they had the knowledge to explain ant facts to visitors who knew nothing about ants. I shouldn’t have doubted them. Even students who are quiet in class were excitedly explaining the differences between ant species. Throughout the day, I received several compliments on my students’ willingness to help and just general awesomeness, and students commented on how intelligent and satisfied they felt. It was one of those moments where I can’t imagine being anything but a teacher. Of course, without my fellowship none of this would have been possible. 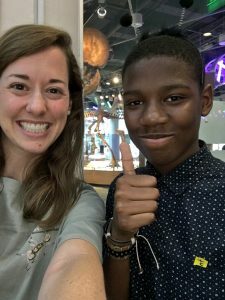 Because of my Kenan experience, my students are not only getting more opportunities to share their knowledge, but also are becoming more excited and passionate about learning science in general. Some of the most enthusiastic BugFest volunteers were students who I couldn’t have bribed to attend an event like this last year, and I attribute a lot of that transformation to the teacher this fellowship is allowing me to become. Want to know what my students loved about BugFest? Check it out here!